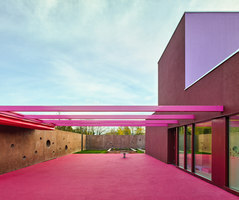 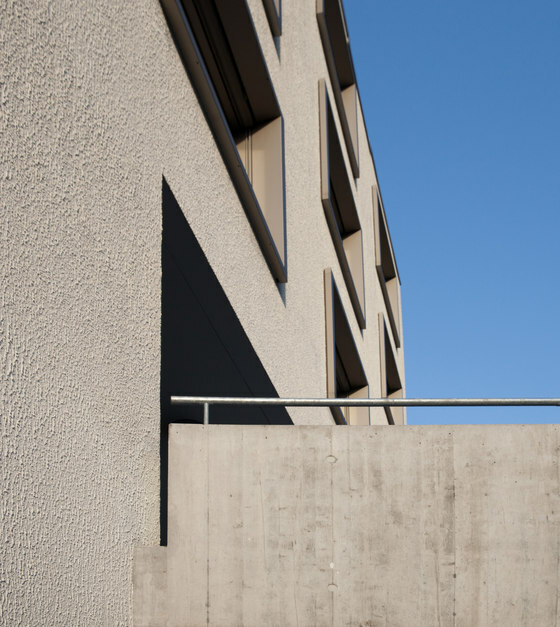 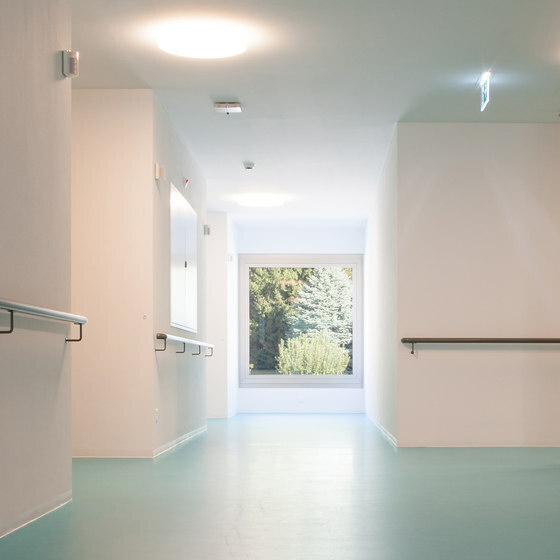 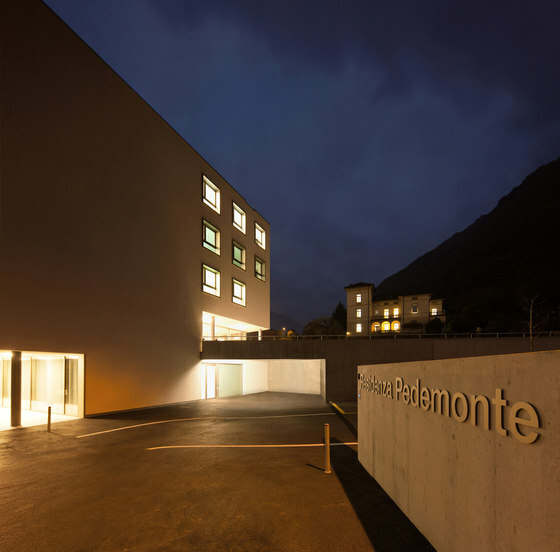 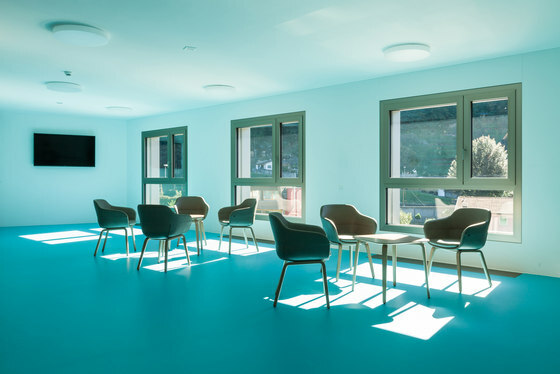 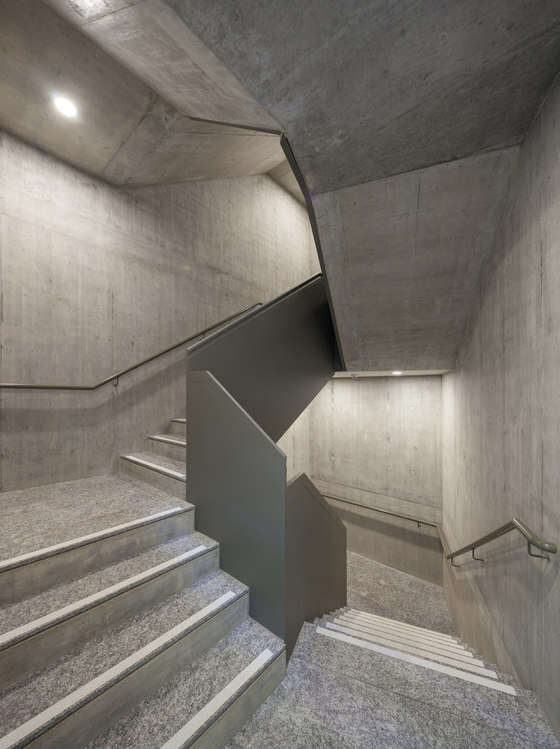 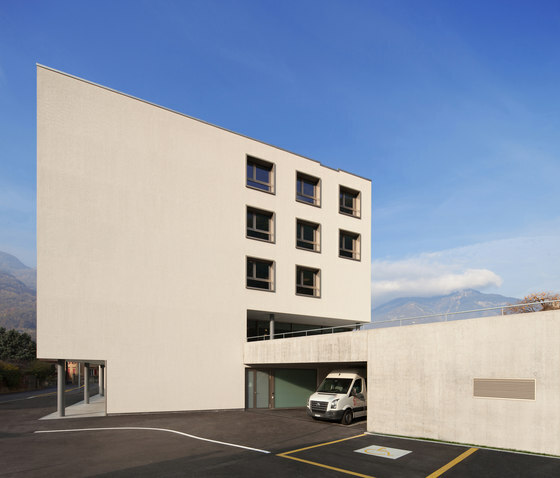 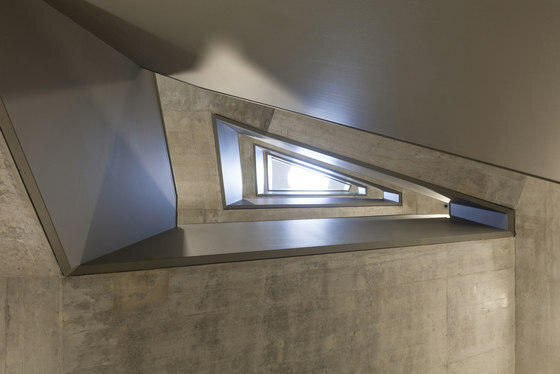 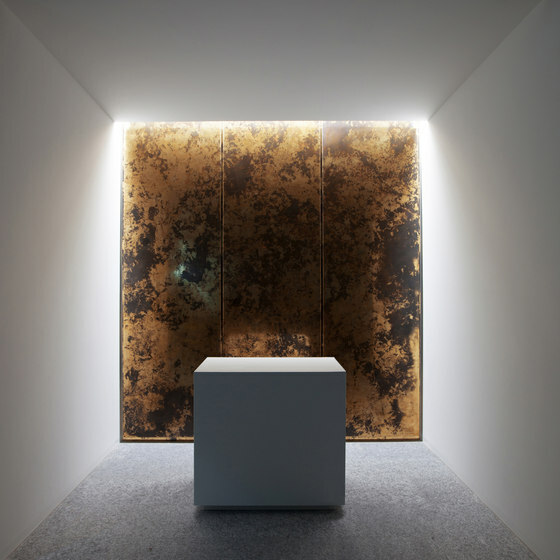 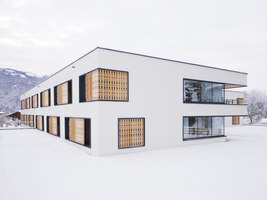 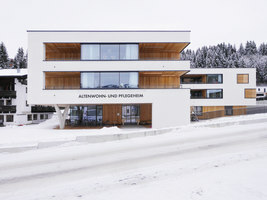 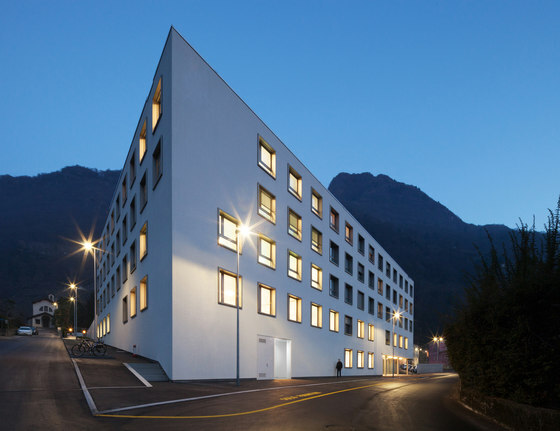 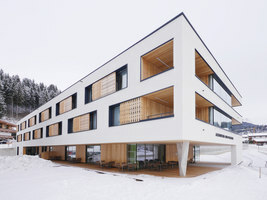 Nursing And Retirement Home, Bellinzona by Studio Gaggini + Nicola Probst Architetti |.. 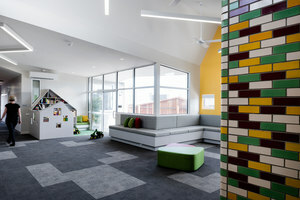 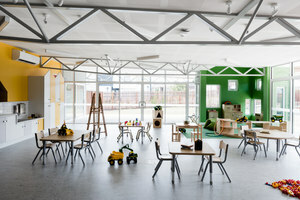 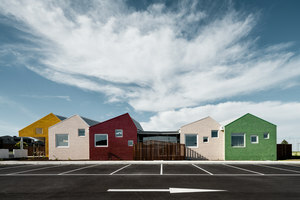 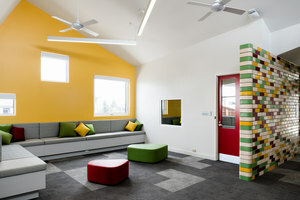 The new building is located at the intersection of two neighborhood streets and forms the corner of a new urban block. 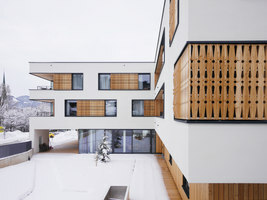 The compact volume allows the definition of a central free space, a new resident and public park that links and enhances the various elements: the new nursing home, an existing villa, an annex, a small church. 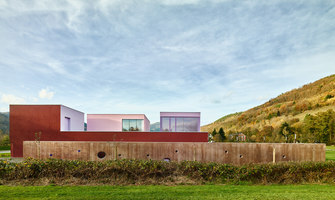 The hilly landscape of the terrain has allowed dividing the road section where the main entrance is, and the park level, where all the common functions are grouped together. 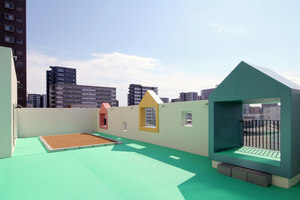 The parking lot was treated as a tree-lined space. 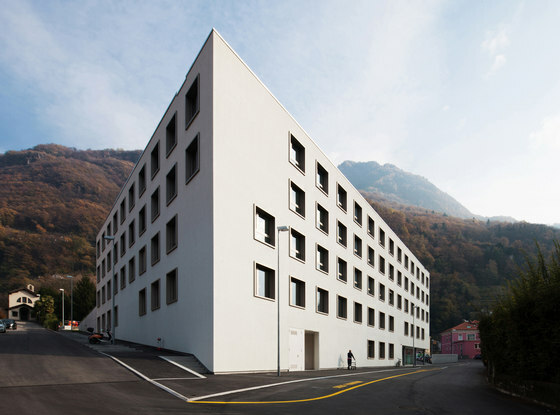 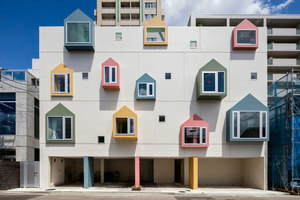 The building typology is compact, with a central core. 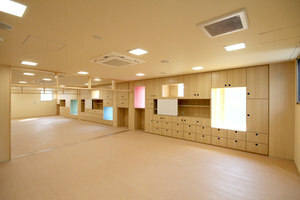 In the latter there are elevators, stairwells, and the service rooms for staff use. 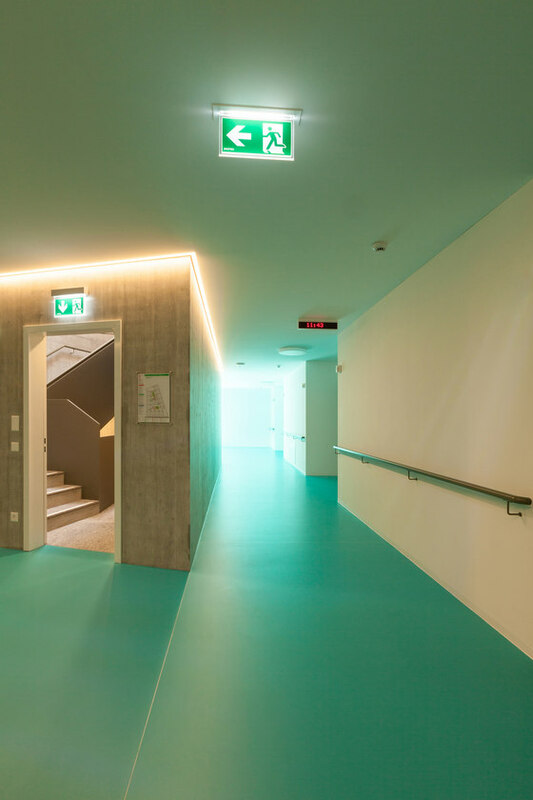 From the main entrance, through an entrance hall, you access directly to the upper floor, where you can find most of the common functions including physiotherapy, ergotherapy, dining, living room and bar. 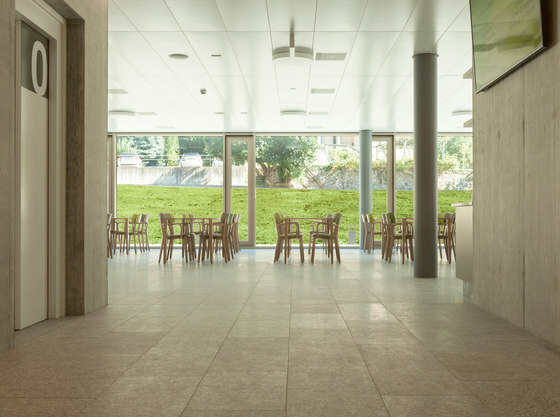 Here a glass facade puts the park in close relationship with the interior spaces, while a porch provides a protected area and mediates the relationship between interior and exterior. 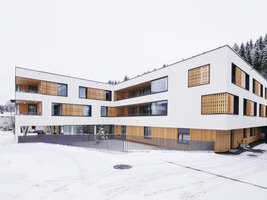 On the top three floors there are 76 single rooms, each with service and shower, living room, dining room, service rooms and various medical facilities.